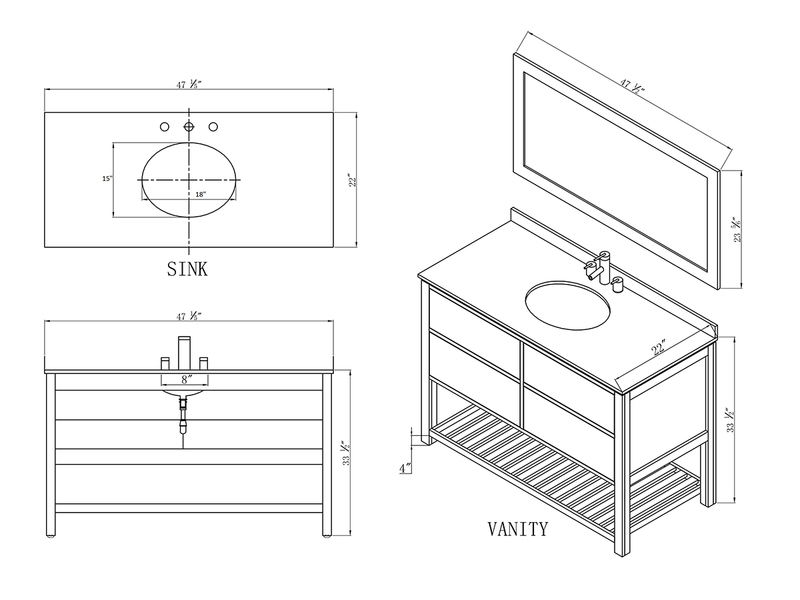 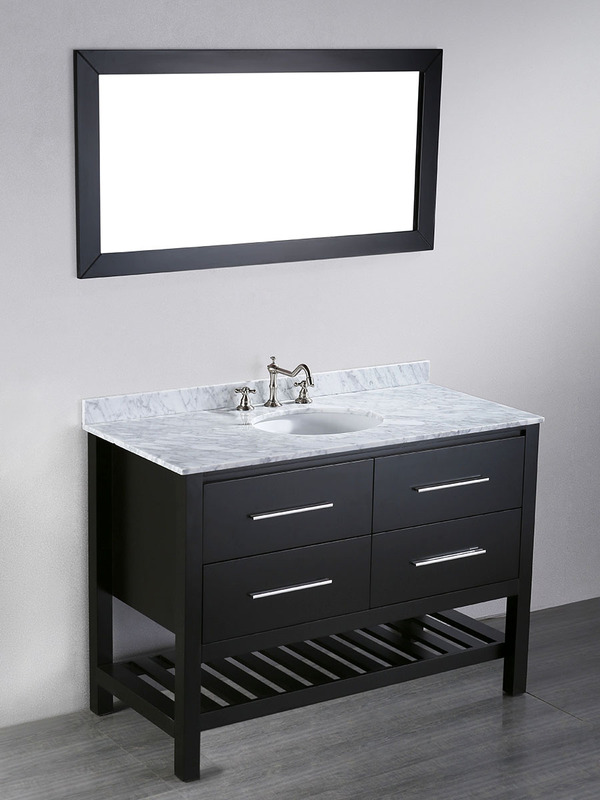 The 47" Alegra Single Bath Vanity features spacious counter space with an aesthetically pleasing style to give your bathroom a makeover that will last a lifetime. 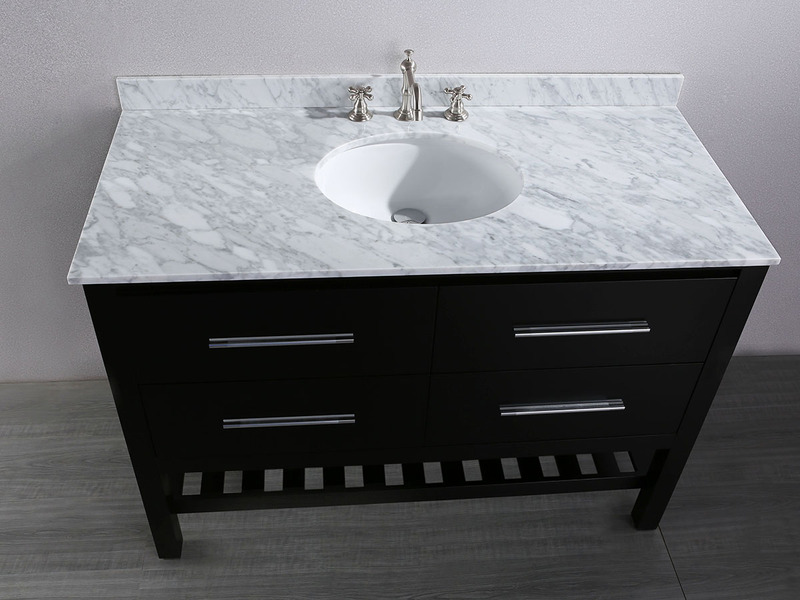 This beautiful vanity features a solid birch frame that's finished in a deep Black and matched with a White Carrera Marble top. 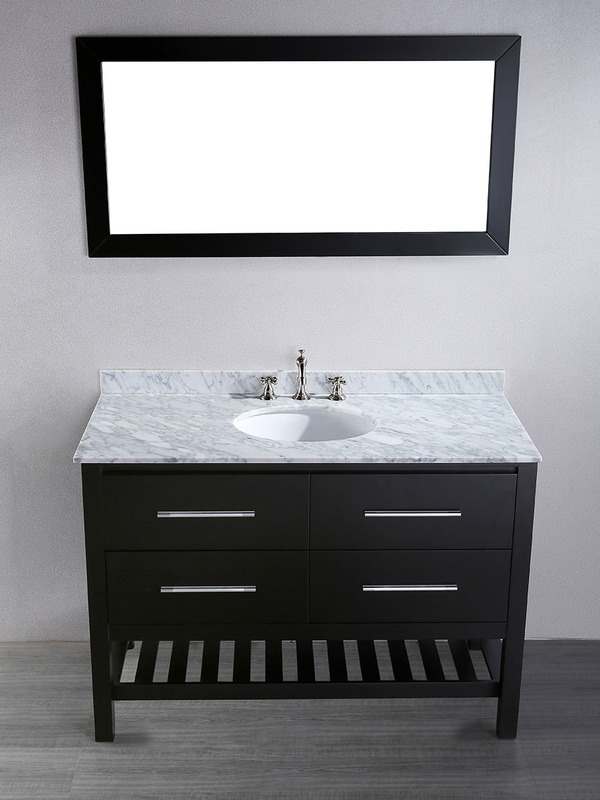 The cabinet is adorned with four Silver finished hardware and offers two fully-functional, soft-closing drawers, along with a towel rack to give you both concealed and open storage room for your bathroom necessities.